I am very pleased to be chosen as one of the Real Estate Magazine's Young Guns 2015 list for under 35 year old trailblazers in all of Canada. Thank you to my clients and supporters for the last 8 years. "One man's happiness project moves ahead"
This news story was written by Kerry Gold at the Globe and Mail and posted in the Real Estate section on December 20th 2012, as Paul Albrighton is a recognized leader in the Vancouver Real Estate Industry. His sales ablilites, unique brand, and annual contribution to the Make-A-Wish BC chapter has received attention from the media. Paul Albrighton is the kind of 27 year old who could pass for a teenager wearing a nice suit. He’s got a wide grin, a wiry build, and the polite exuberance of a young salesman who might have taken in a few Tony Robbins how-to-be-your-best seminars. His optimism, though, hasn’t got that dogged spiritual-boot-camp feel to it. Mr. Albrighton has arrived at his daily up-with-life mantra as a response to childhood health setbacks that linger into his adult life. In other words, he’s happy to be alive. In fact, he’s so happy and goal-oriented, he tells me, that his mind is even working while he sleeps. “When you give yourself good thoughts before bed, you do a little dreaming about what you want,” he says, seated in a Gastown coffee shop. “Your body and mind work over time when you are focused, even when you are sleeping. Define what you want, make it realistic, and go for it with passion,” he says. READ THE FULL STORY, CLICK HERE. 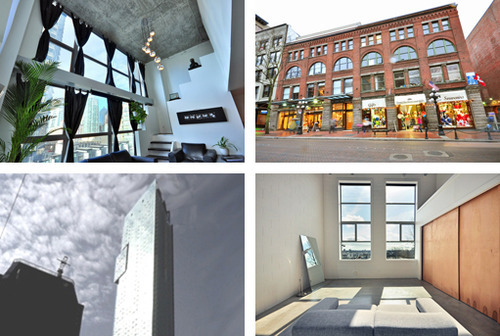 "DONE DEALS" - HOW MUCH DID THIS VANCOUVER HERITAGE LOFT GO FOR (IN A SOFTER MARKET)? 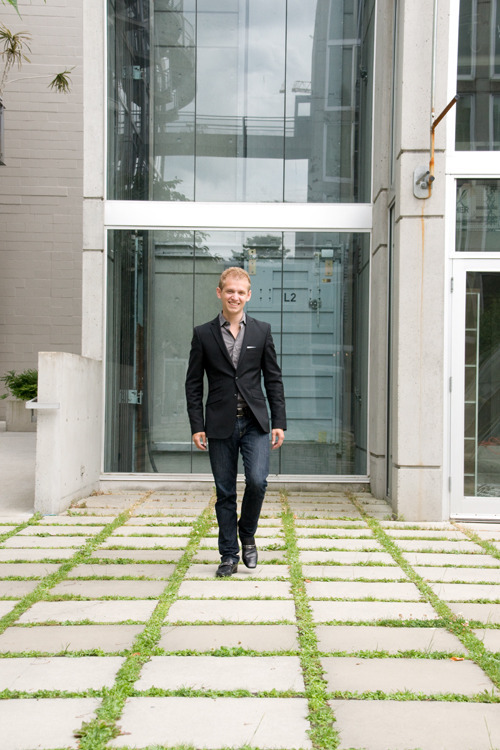 Paul Albrighton is often quoted for his expertise with lofts and Vancouver properties. Recently the Globe & Mail News reached out to Paul Albrighton for information on a recent sale, a loft on Beatty Street, #3-528 Beatty St. This historic loft was unique with its architectural features. Read more by following the links below. "The property was listed at $429,000, reduced to $409,000 after several weeks without selling and was reduced again to $399,000. It finally sold 51 days after being listed for $395,000. What they got: Because Vancouver hasn’t got a lot of lofts, the lofts that do come on the market go for a price that’s generally slightly higher than the average. This loft at 528 Beatty, known as Bowman Lofts, is a warehouse conversion by Salient Group in the neighbourhood of Crosstown, which intersects three neighbourhoods: Yaletown, Gastown and Chinatown. It’s on a highly desirable street, close to trendy upscale restaurants as well as the hockey arena and movie theatres. 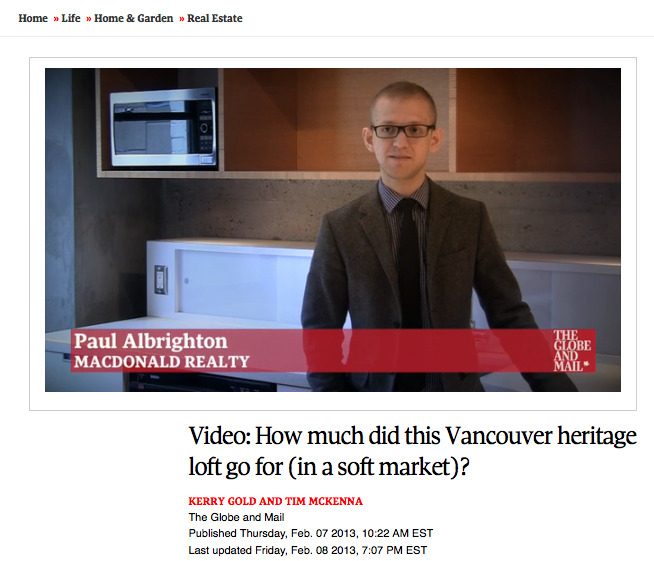 If you are looking to buy or sell a Vancouver property, contact Paul Albrighton, 604-315-5574. The recent Article featured in The Vancouver Sun, was discussing the speculated Trump International Development located on Georgia Street. Tracey Sherlock approached Albrighton for his expertise with the current comparable Shangri-la building. 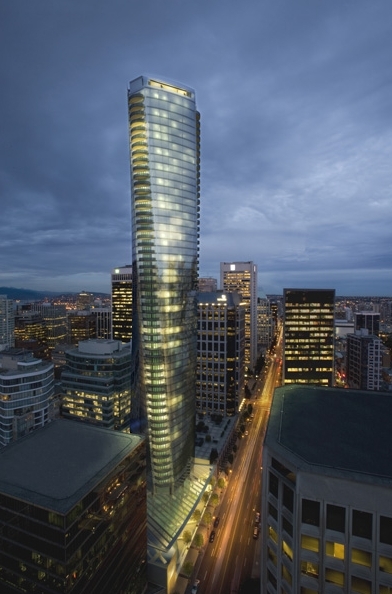 Pauls Section: "There are several other hotel-condo projects in Vancouver, including the Shangri-La, which was completed in 2009 and is Vancouver's tallest building at 62 storeys. Paul Albrighton, a realtor specializing in resale units at the Shangri-La, said prices in the luxury building have risen an average of two to three per cent in the past 12 months - above average for Vancouver condos. He said buyers are both Vancouverites and offshore buyers, but that there has been a bit of a slowdown, particularly among offshore buyers, in the past six to eight months." From Today May 2nd 2011 until May 31st, 2011. Simply refer your friend, family member or coworker to buy or sell a Vancouver property with Albrighton and receive a 12 month subscription to Dwell magazine. Once your friend completes their purchase, you will receive a 12 month free subscription to Dwell Magazine sent to you directly. SELLING OR BUYING A UNIQUE PROPERTY? 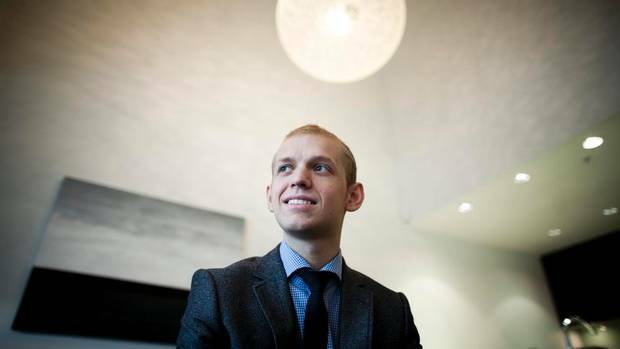 Paul Albrighton is a Downtown real estate expert. Providing unmatched high-end property marketing for modern condos, lofts, live/work lofts and architectural properties in Vancouver, BC. Our clientele often appreciates art, design, and a modern take to thinking and living. We value property that is designed to visually and functionally enhance their lifestyle. With each transaction our focus on client satisfaction allows our service to lead the marketplace. Our unique promotional systems online and our large networks keep Albrighton Real Estate ahead of the competition. The market continues to show positive signs. Inventory is still low, and our market still remains as a sellers market (defined by having less than three months supply). Sales activity has slowed down since the Summer months which is typical for this time of year, however; sales in October were up 4.1% from September which was already a very active month. 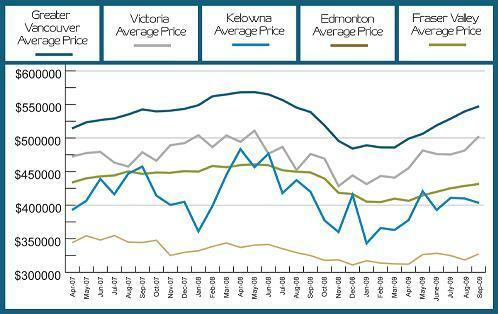 Compared to October of 2008, sales were up 117% for Greater Vancouver. “High confidence and low mortgage rates are continuing to drive the activity we’re seeing in the housing market today. We’re coming off several months of unseasonably high sales levels, which has allowed for a gradual increase in home values this year,” - Scott Russell, Real Estate Board of Greater Vancouver (REBGV) president said. This month I wanted to more of an analysis of Greater Vancouver, and Western Canada. Since the market correction last winter, the market has bounced back nicely to test previous highs, both in the number of sales and in benchmark prices. The summer of 2009 surprised many analysts and market-watchers with both its resiliency and fervour, and clients have asked what will happen in the fall and winter. No one really knows what the market will do, but traditionally, the winter season has resulted in a slow-down in the market as families buckle down for the school year, weather patterns make buyer tours less pleasant, and holiday planning begins. Because there are fewer buyers, some sellers will decide that they can wait until these buyers return, which results in less supply to offset the drop in demand. However, statistics show that house prices tend to be lower in the winter than in the summer which is why home price stats are seasonally adjusted. People who sell in the winter are more likely to be ready to sell and realistic rather than curious and unmotivated. Also, because there are fewer buyers, true negotiations between buyers and sellers are more likely to occur in place of auction-type multiple offer situations. So what does this mean if you're a buyer or seller? If you're a buyer that has the flexibility to purchase during the winter months, your selection may become more limited, but if you find what you like, you will likely have a better opportunity to negotiate for your home rather than bid for it. If you're a seller, a limited supply can work in your favour if you have a good realtor that can outline the unique features of your home. Every situation is different, and each year presents a new set of challenges and opportunities that require professional analysis. Source, Macdonald Realty Ltd. These webpages feature information, listings, and property for sale within these buildings. 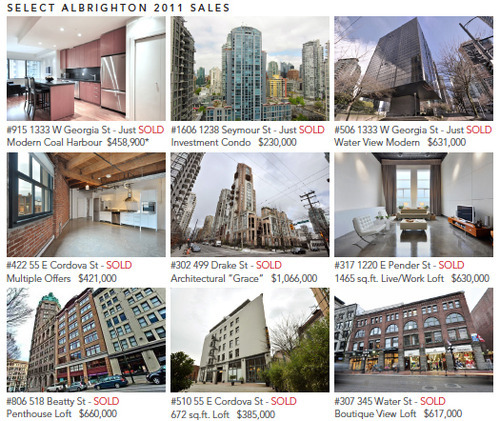 Paul Albrighton - Vancouver Lofts.